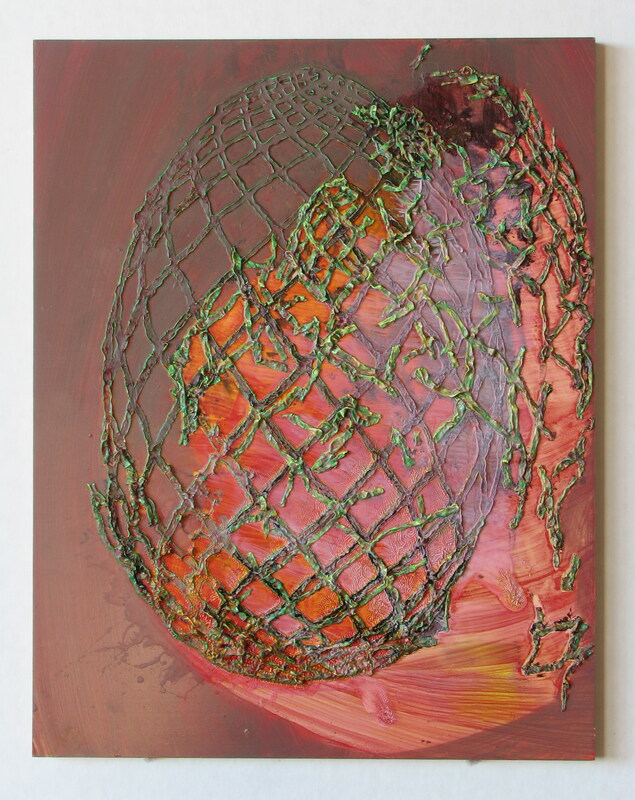 In her work Melissa Gwyn considers the word reproduction as it pertains to biological and artificial structures, and about morphology, both as a study of the form of words and of living forms. Her current series of paintings explore the possibility of making failed reproductions or visual interpretations based on a mutation of the original. The source for her disordered reproductions is a rarified art object associated with imperial families and powerful institutions, the Faberge egg. The prestige and perfection associated with those jeweled orbs provide the foil for the damaged reproductions she paints in her studio. The root of the surname Faberge is faber, which means “to make.” In all of her paintings the subject of making is tied to its opposite, destroying, and this duality is evident on the surface of her paintings. 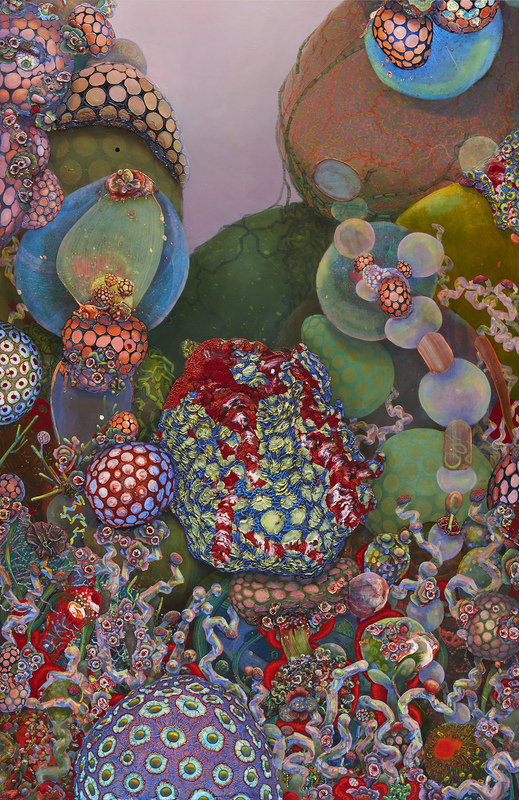 The title for her recent series is “Fabergenic,” a play on words that references “the photogenic,” (those who look beautiful in reproductions) and science where reproducible experiments connote success. More specifically the title infers genetics and the stories genes can tell about inheritance and reproduction. In another facet of her practice Gwyn composes nonfiction narrative presentations accompanied with images of her work. In these presentations she weaves together stories about imperial and biological inheritance and relates those events to technology and craft in the fields of medicine and art. In both her studio practice and public presentations Gwyn ruminates on the subject of “fabrication” as it informs the work she does with her hands, the stories she tells, the art she makes, and her ideas that revolve around beauty, illusion and truth. 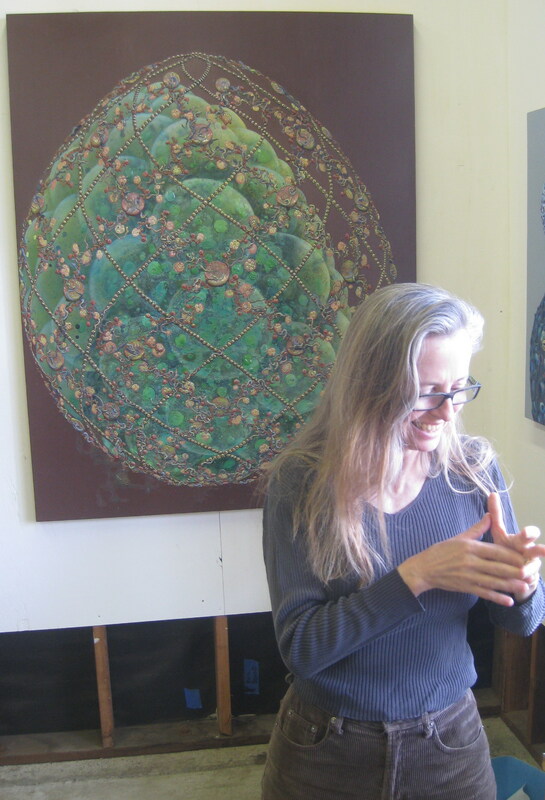 Gwyn’s work has been exhibited nationally and internationally, receiving reviews from Art Forum, Time Out New York, Village Voice, Art News, and The New York Times. She has been a visiting artist and/or presenter at Emory University, University of Southern California, UC Davis, Carnegie Mellon, The Tang Museum, The Palmer Museum at Penn State and other institutions. Melissa Gwyn is represented by Patricia Sweetow Gallery.